In 2010 I moved into an artist collective in a convent located in the heart of San Francisco. A collective of individuals of diverse and inspirational talent came together as The Convent Collective. I was feeling bright, optimistic, and healthy. It had only been ten months since I was diagnosed and treated for Chronic Lyme Disease and tick-borne co-infections after almost a decade of mysterious suffering with pain, fatigue, panic attacks and so many other bizarre symptoms. Working with my Lyme Literate Medical Doctor and other practitioners, I was able to find comfort, relief and a pain-free day-to-day existence. Towards the end of my treatment, I enrolled myself in an intensive yoga teacher training in the desert to help aid me in my healing process. By the time I entered the artist collective in October, it was the first time in almost ten years that I was feeling renewed and like myself again. you could consider me an esoteric artist.” My art was how I related to my internal states and experiences of my life and suffering. Admitting this as my label would always prompt the telling of my story of living with Lyme Disease. I spoke openly about my chronic pain and fatigue, how the Western medical system had failed me, my daily existential crises, and my recent healing process. “It has been a shamanic illness,” I would describe. “In life, we all go through challenges. This can be likened to a journey through the Underworld.” Like my favorite goddess, Inanna, I felt I was going through an initiation to find answers in the depths of suffering and physical reality. In Greek, this journey to the Underworld is called the Katabasis, and it is part of a constant cycle of experiencing challenge and integrating new insights that comes from the process. In cultures with shaman, the shamanic candidate is often met with health challenges that are devastating or even fatal. This journey happens so that they can learn how to fully heal on a levels of existence and then share that wisdom as a transmission and gift to others who are suffering. Even at the age of 15 when I became ill, I knew I was sick for a reason and that I must do everything in my power to learn the nature of healing. Thus I became an esoteric artist. Esotericism is the inward exploration and communion with self, the divine, and the nature of existence. If I was to heal, I learned that the transformation must first occur within - aligning mind, body and spirit. Over those ten years of suffering, I had studied with numerous mystics from multiple traditions. Through their offerings, ceremonies and wisdom, I started to understand that Life is Art, and I am a Co-Creator in participating in the Creation of reality. Once I moved into The Convent, I had enough energy to pursue my own creative endeavors. If I was to align my being with the Creative Essence of the Universe, I must pursue the creation of art. I was utterly compelled to. It is simply the essence and foundation of my being. It is the essence of Our Being. Through my ailments and suffering, music had always had the power to uplift my spirit. Aside from devoting myself to the study of neuroscience, religion and psychology in school, I would always conserve energy to go to concerts. It was always what kept me going when I felt all the suffering was not worth while. I had learned that chanting and singing, was powerfully healing, especially when I was unable to walk or move much because of the pain. It was in 2011 that I wrote my first song entitled “Medicine”. 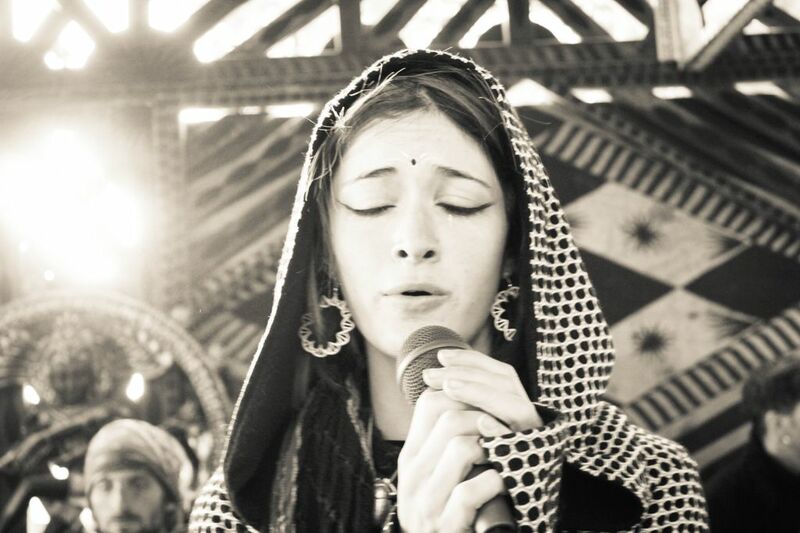 I chant, “Sing the Song you want to sing... Medicine for my Being...” This expresses my understanding of using my voice to resonate my Truth, my being and share my heart with others. Living in relief, post-treatment, I had the incredible opportunity and inspiration to write and release my first album of experimental electronic bass music with female vocals (Download at luxmoderna.bandcamp.com). It is entitled Sacred Heart in honor of the Sacred Heart Parish, the mother church neighboring our beloved artist collective - The Convent. In 2011, I envisioned and co-founded a sister collective to The Convent in the Sacred Heart rectory. We invited 24 teachers, healers, mystics and artists to move into our home as roomates in the awe-inspiring building we named The Center SF. My vision for The Center also required its basement to be used as a community event space for the transformation of mind, body, spirit and society. I am grateful to still be a part of our community and share my life with so many beautiful beings. Ultimately, the space and community serves as a constant reminder for me to continually find my Truth and express it from the center of my being. 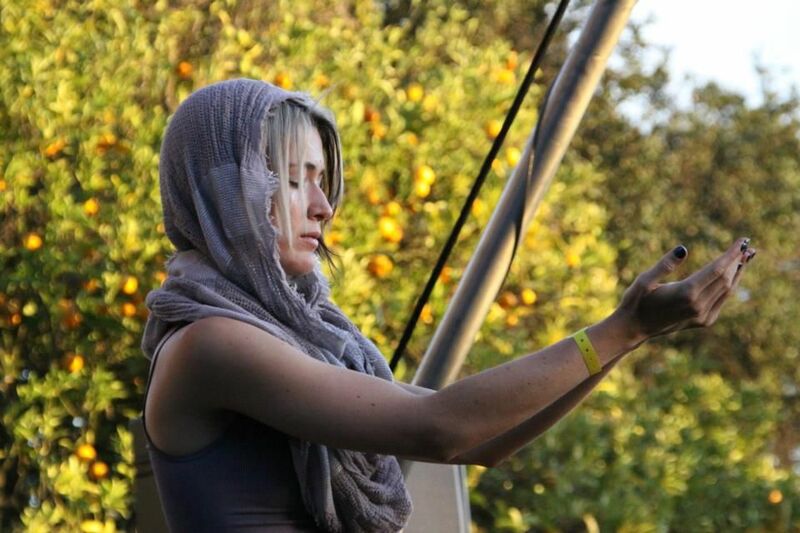 In 2012, I began performing my music, touring, teaching yoga & meditation, facilitating ceremonies and singing live for audiences at clubs and outdoor, transformational festivals across the West Coast. My goal is to create moments of unity and upliftment of others through embodiment and music, and thus far my career has flourished. In August, I had a relapse and am again in treatment struggling with my tick-borne infections. However, I now know that my Truth is being a musician, my Truth is Music. I find unending comfort in dedicating myself to entraining with and expressing the vibrations of the Universe. Now I know that I can always find comfort in composing and expressing my gifts no matter how sick I may be. I have learned the importance of always maintaining optimism, Love, Hope and Faith that I will heal again. Our lives are a cyclical journey of Life, Death, and Rebirth. With so many years of suffering, such an intense, trying journey through the Underworld, I have come to open my heart to embody and share the light that comes shining through the darkness. After the Katabasis, we rise to meet the Sun, the dawn of a new light, as it ascends over the horizon. The name of this new consciousness, this new light, is the name I have chosen for myself . Thank you for taking the time to read my story. It is an honor to share my journey with you. May your journey and your Loved Ones be blessed with Love, Light and Hope. I love you infinitely. 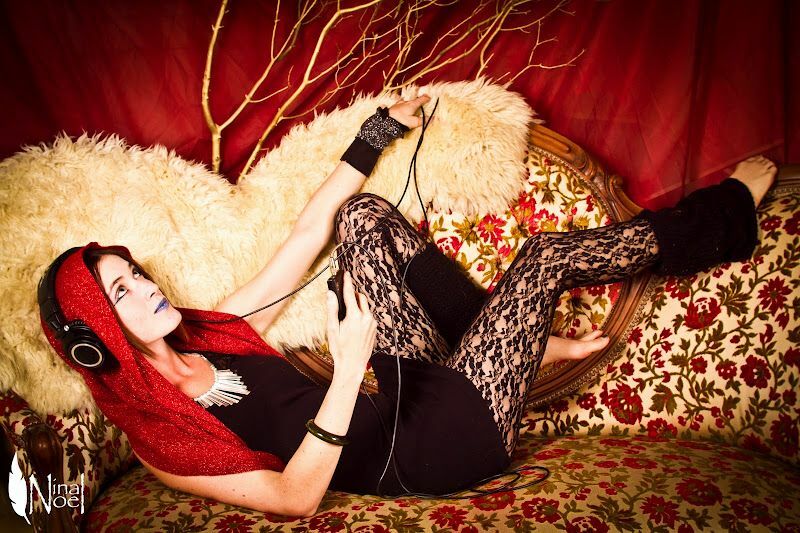 Lux Moderna (aka Madeline Grace Fauss) is a sonically-oriented alchemical priestess in service to ritual, performance and community. She was born and raised in Richmond, Virginia and currently resides in San Francisco, California. She is an artist that embodies and expresses her divine gifts in order to elevate others into their own embodiment of Truth. 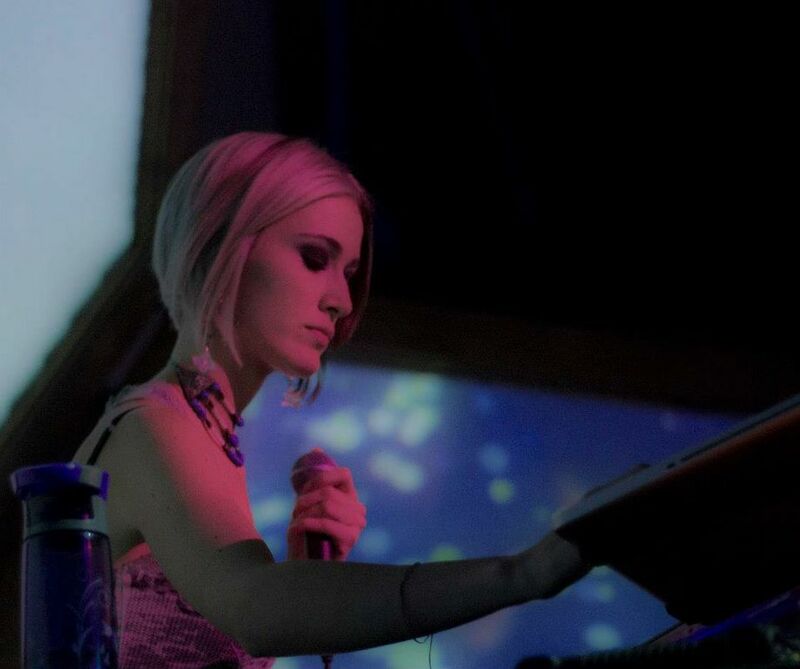 She specializes in electronic music production, singing, mantra, ceremony design and facilitation, neuroscience, mythology, and alchemical art. 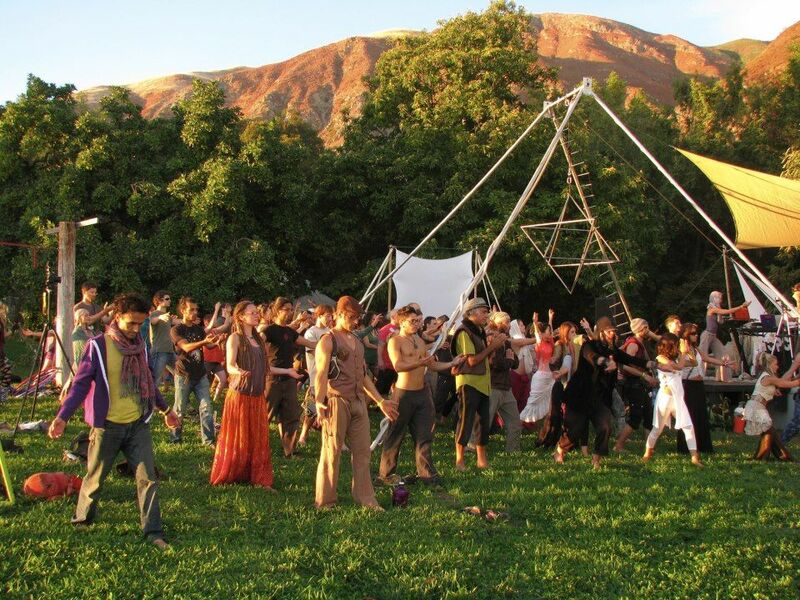 Lux Moderna dedicates her being to a conscious, heart-centered experiential approach to facilitating mass entrainment with the creative essence of the universe. For booking performances, yoga and meditation workshops, and spiritual guidance ~ Email Lux Moderna. You can also visit her website, download some music and "like" her page ~ She would love to hear from all of you! 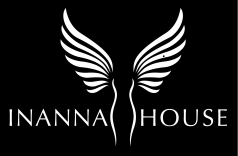 Click on the Twitter icon to tweet about Inanna House, Artist of the Month, and Lux Moderna ~ The more awareness the better!